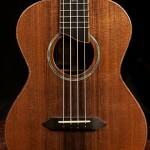 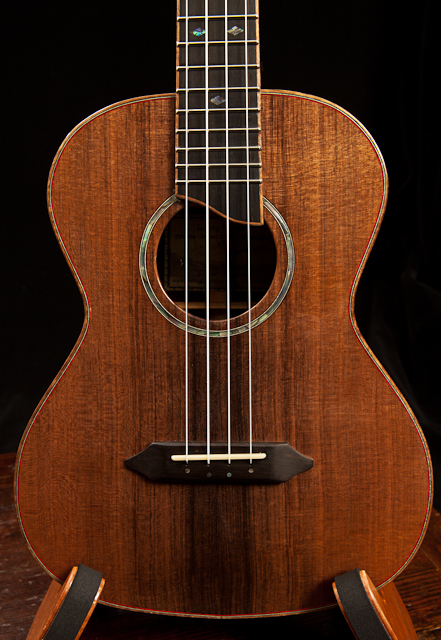 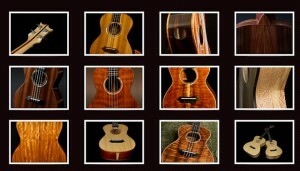 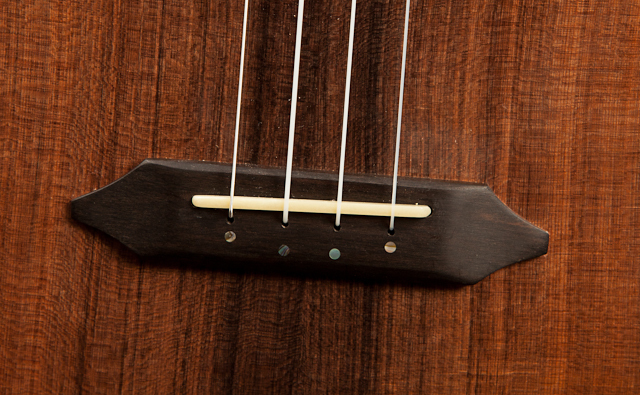 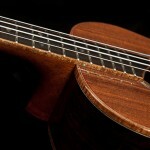 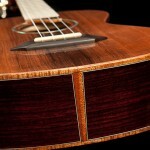 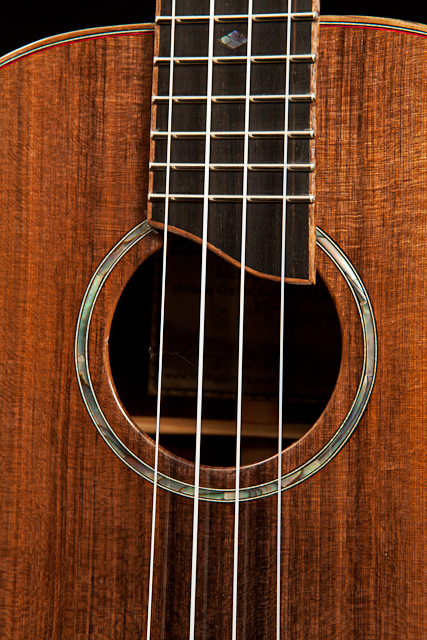 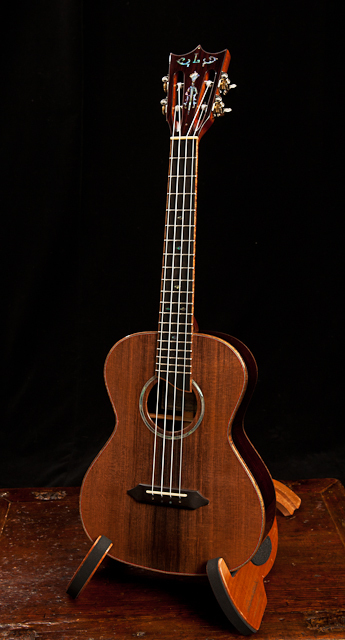 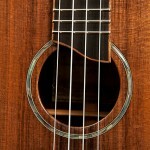 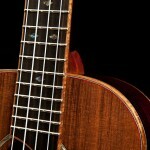 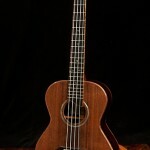 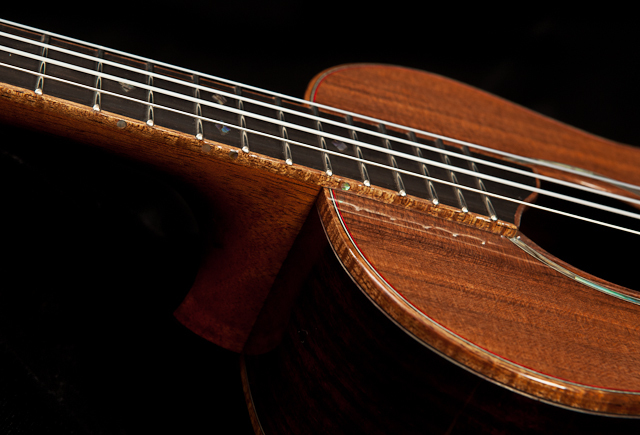 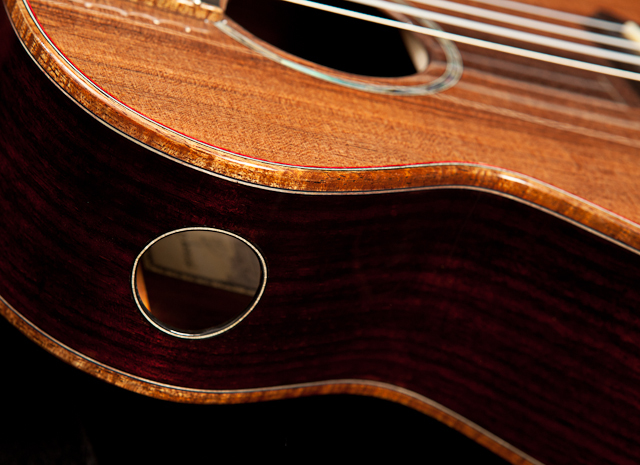 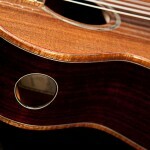 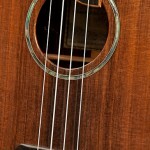 “Today I’ve picked up my uke at the customs office and everything worked well. 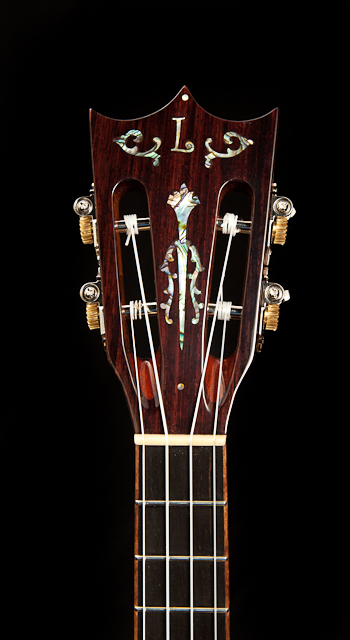 When I opened the case I was breathless: What a beautiful piece of art! 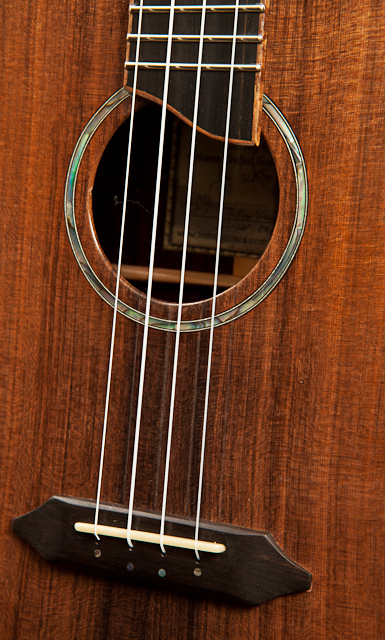 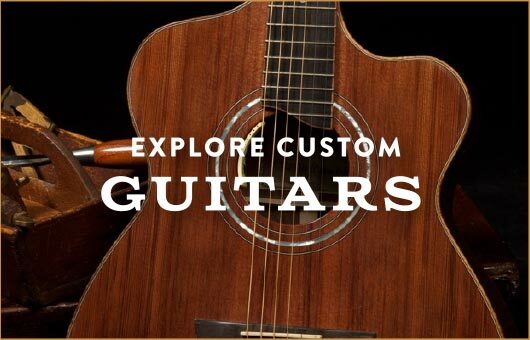 It is crafted so well with a fine intuition for all details (e. g. the last blue colored diamond-inlay on the fretboard at 15th fret in a subtle contrast to the more green shaded ones before) and all inlays and bindings are mastered . 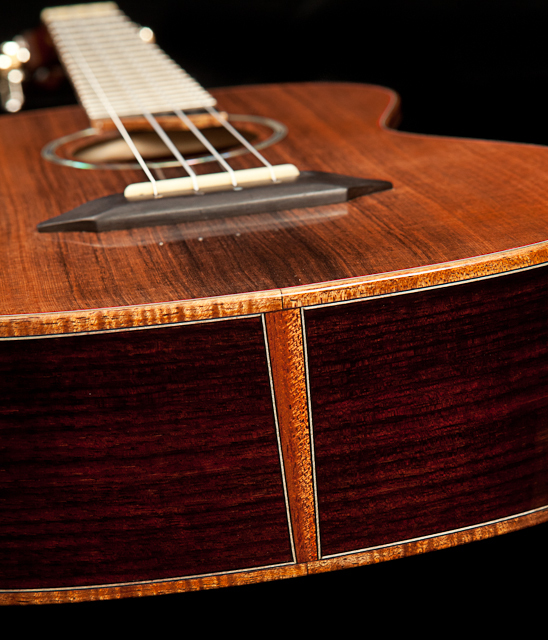 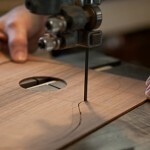 The outside appearance of this instrument is nothing but perfect! 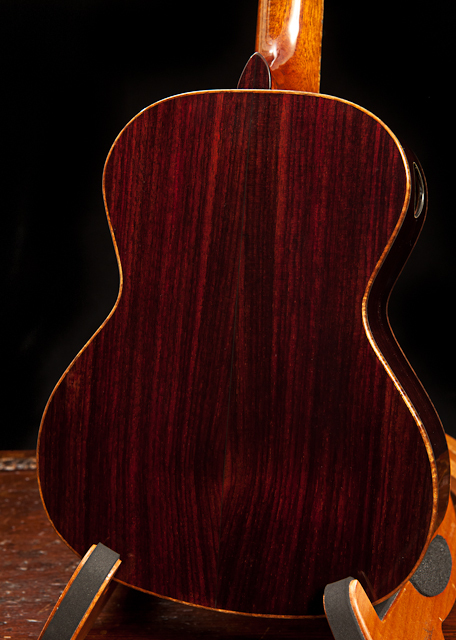 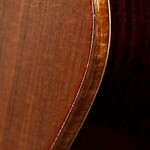 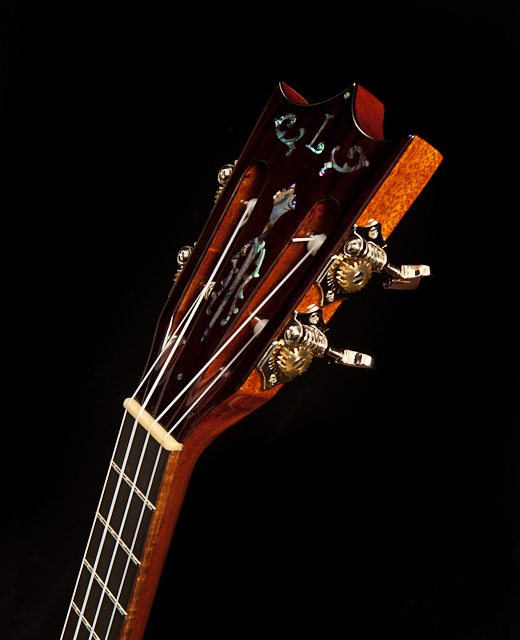 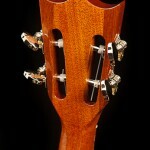 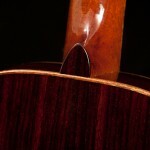 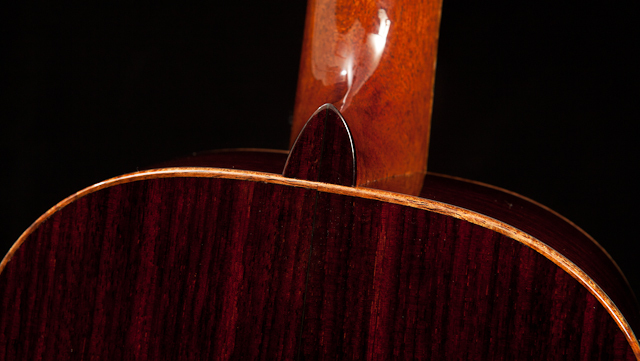 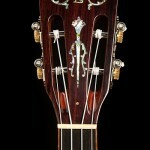 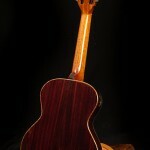 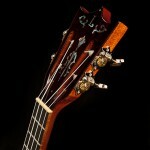 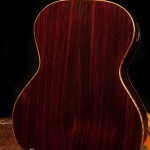 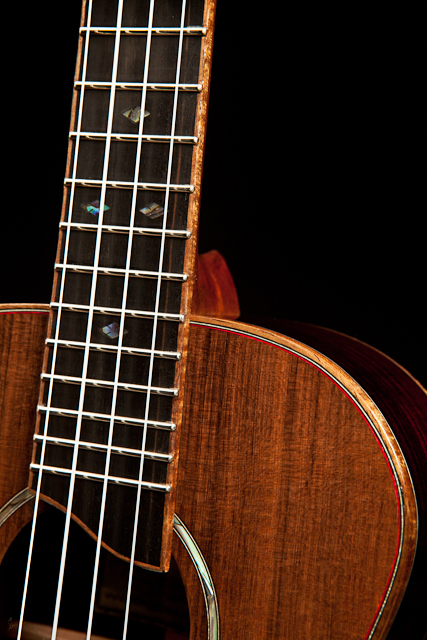 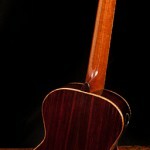 The wood combination (orange & dark brown)in addition to the the small red binding on soundboard matches fantastically! 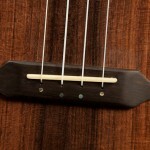 Jay, what kind of strings did you use? 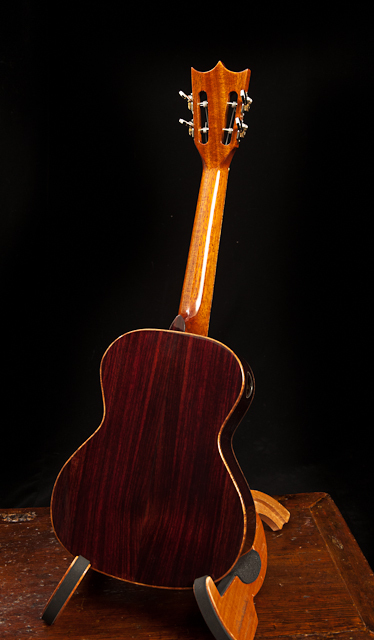 Many thanks for this Cooper-stand and the nice case too. 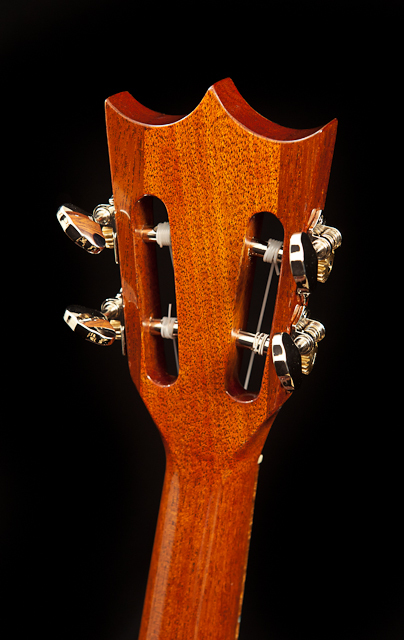 It’s a great ensemble of high quality parts. 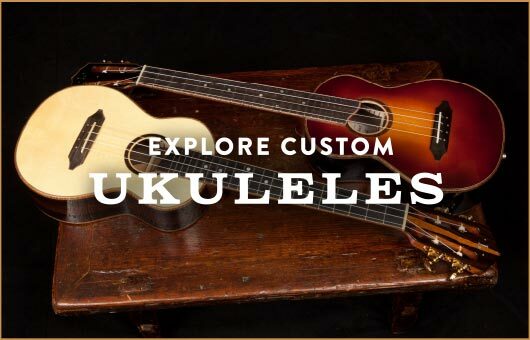 So I’m really happy to get this custom uke and I think it will be the undisputed crown of my uke-collection.